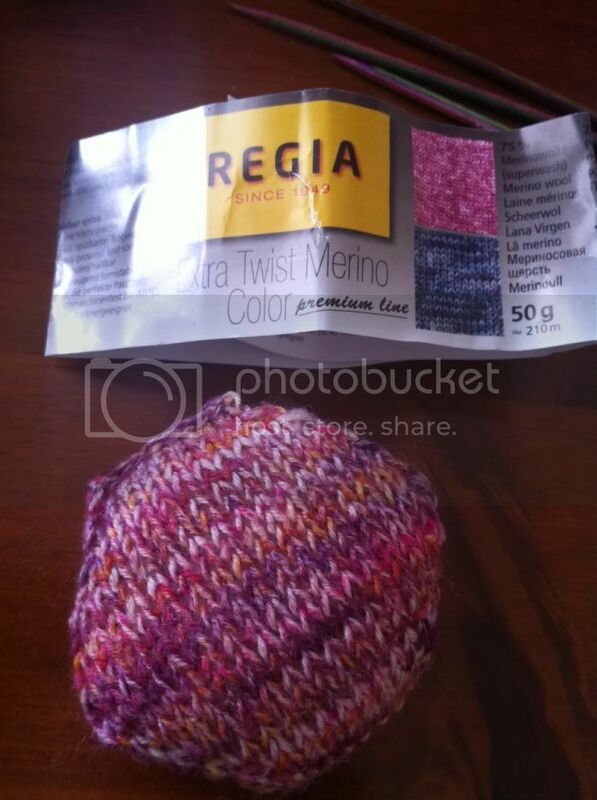 WIP Wednesday (31/08/11): Have you heard the buzz? This really looks like so much fun. It might need to sting here too. If you weren't SO far away, I'd happily send along a bag full of purple-y yarn scraps that I've been collecting and never found a use for. Bummer! I can't wait to see your quilt come together, though! It's going to be gorgeous! This is a trend I think I can safely say I will pass on. Very cute, but I know I would not have the patience for it!! LOL. I am ADHD when it comes to crafting I guess. A bag to store a project is always a must! Love that stripey yarn. Are you stuffing the hexis also? I've added a link to the crochet version of a hexipuff to the post for those who don't knit. Looking great! And your bag is adorable! Thanks for commenting on my blog post. The pattern I am working on was printed in a Lets Knit Supplement but it is also in this King Cole pattern book http://hejhog-uk.com/king-cole-crochet-book-p-7995.html. Unfortunately the pattern hasnt made it to Ravelry yet. Been meaning to ask you for ages - which part of Wales are your family in? I love the hexipuffs ... I envision a huge pillow made of stitched together hexipuffs! my kids would steal them too! looking fab! A great one a day project for sure, you are a legend! The hexipuffs are lovely, but I don't reckon I'll ever do it (note how I left some scope to totally go back on my word!) far too much effort needed! Ohh this is going to be such a lovely quilt! Looking forward to seeing it grow, and thanks for the crochet linkage! Thanks so much for posting the crochet version of the hexes! Off to raid the sock yarn stash! I think it's such a popular project as they are so cute and squishy. 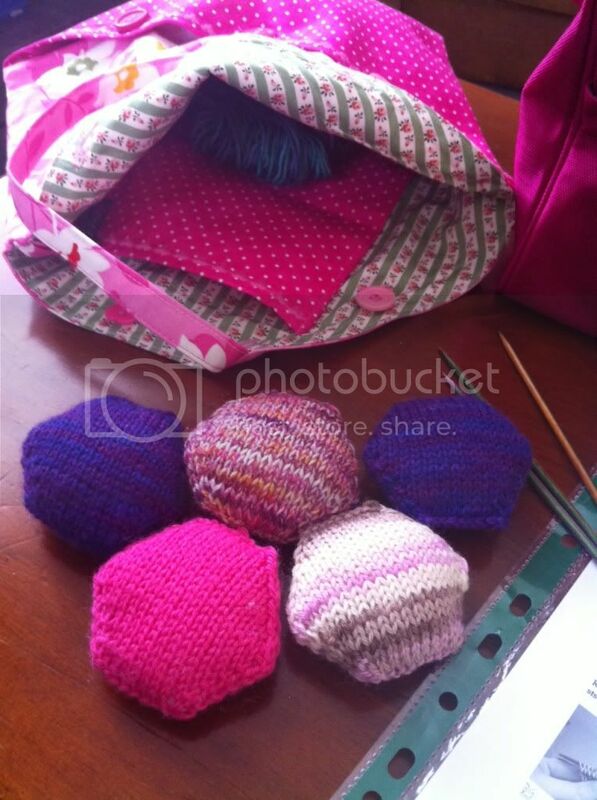 Will probably try a few hexipuffs myself at some point and see if I fancy making a whole blanket of them. Imagine how warm it would be! Can't believe you've put down your circulars! Hope DPNs are treating you well. I am just loving these hexipuffs! I think I am going to have to give them a try, they look so fun! Love the bag too!